As an eminent real estate agent in Panjim, Alpha Real Estate Consultants aids the clients in their real estate buying requirements. 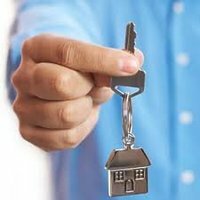 Whatever the requirement of the customer is be it buying residential property in Panjim or buying residential and commercial property in India, we can offer the necessary help. Our proficiency lies in rendering services to the clients that can cater to their exact demands and attain their satisfaction. In this way, clients seeking necessary aid to purchase lands and plots in Goa can carry out hassle free property transactions.